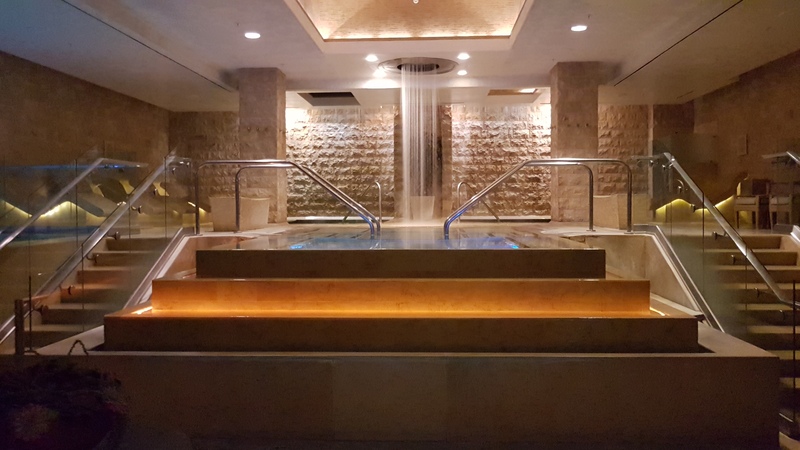 Caesars Palace Spa Baths – 3 pools of various temperatures. 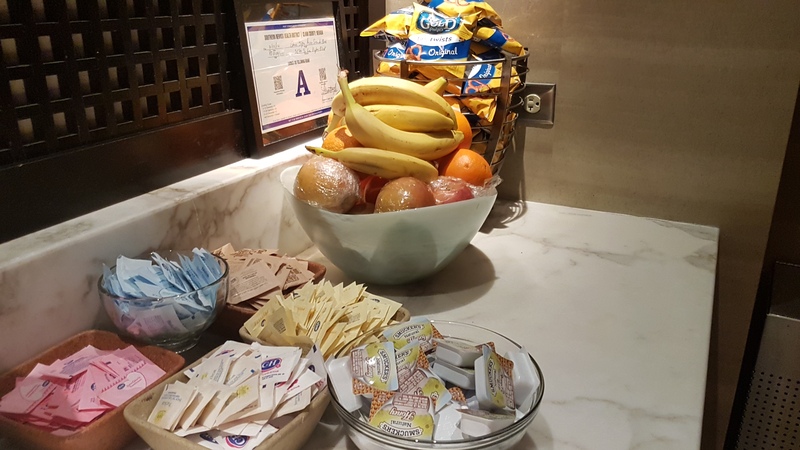 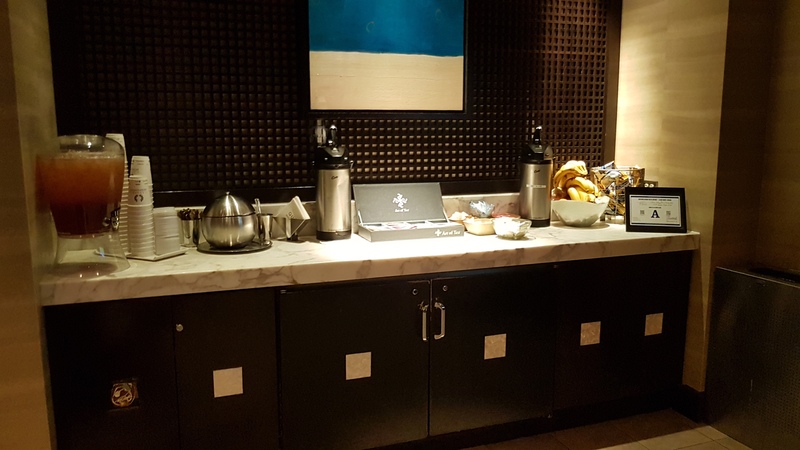 One major benefit for Seven Stars members, especially local Las Vegas members, is the free access to the Fitness Center and Spa at Caesars Palace Las Vegas. 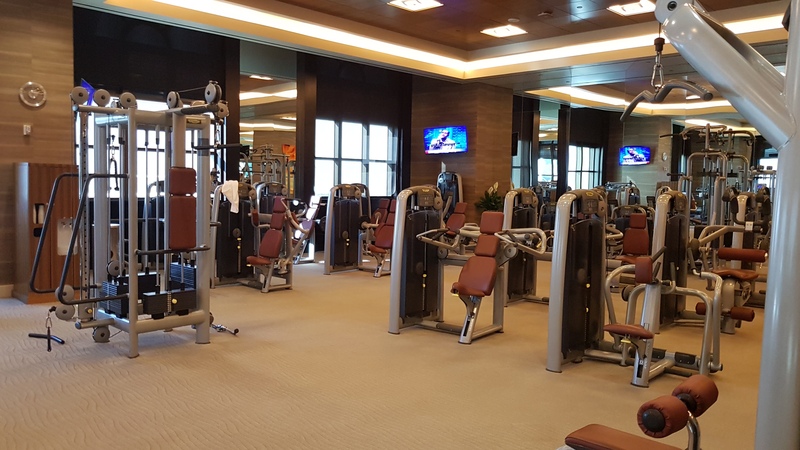 I’ve been enjoying the gym and the spa regularly since earning Seven Stars last year. 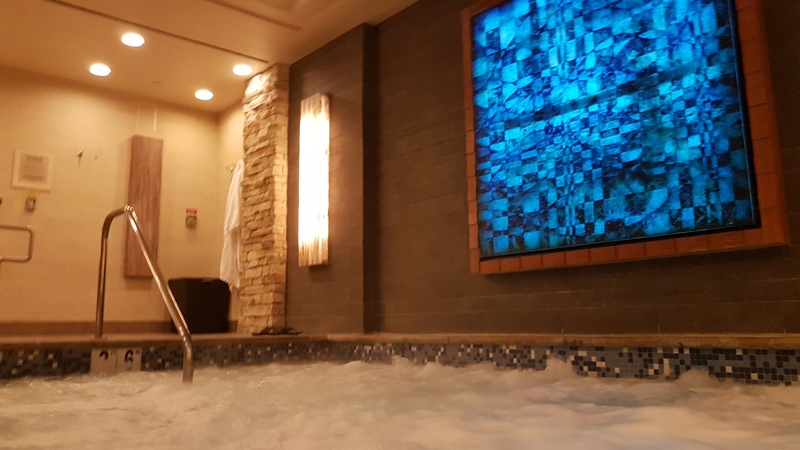 Unlike the other spas in the Total Rewards portfolio, the Que Bath and Spa at Caesars feels like a true luxury spa experience and not just a hotel sauna and Jacuzzi. 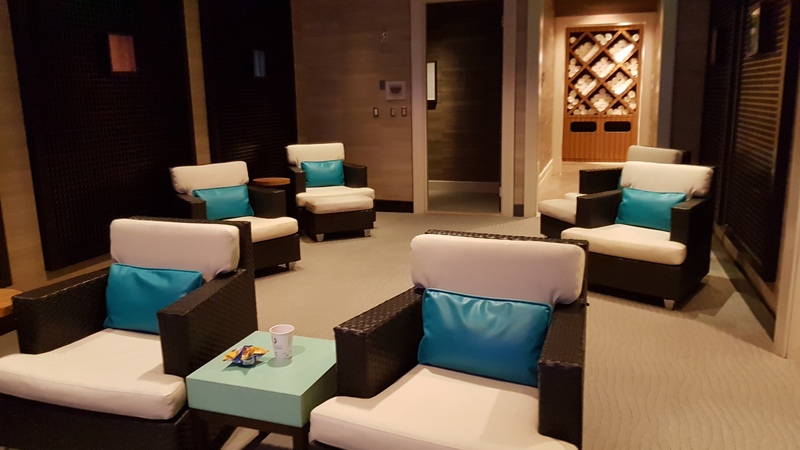 Upon entering, an attendant will provide a locker, robe, and slippers and offer to tour the facilities. 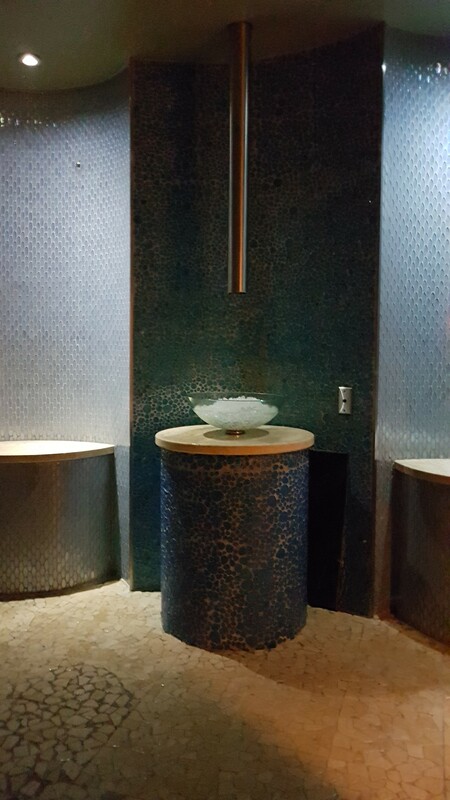 On offer in the spa is a Jacuzzi, Dry sauna, herbal steam sauna, inhalation and shaving room (warm room that moisturizes your skin), and an arctic room for cooling off. 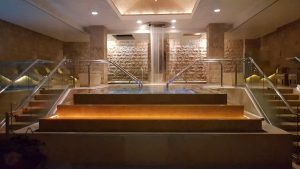 In the Baths section is an ornamented raised area with one large cool pool for relaxing, a hot pool for sweating, and a frigid pool for testing yourself(?). 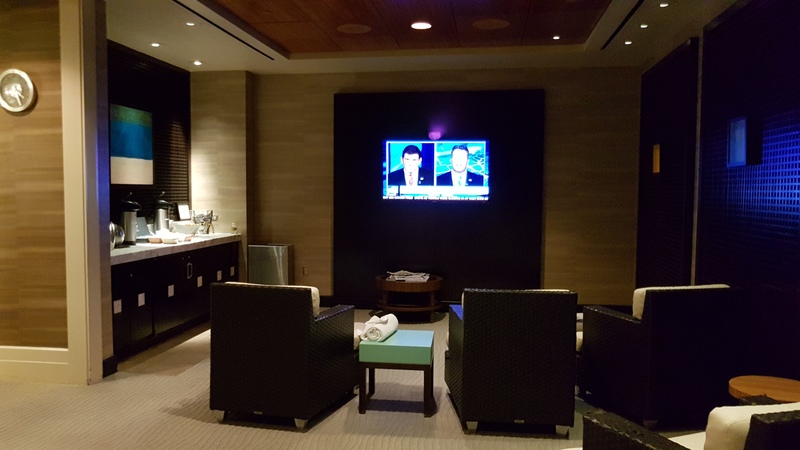 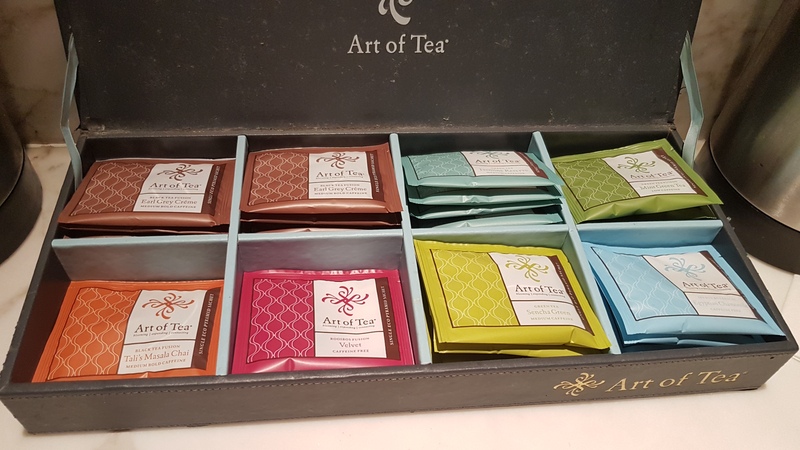 The Tea Room offers an area with plush chairs to watch sports and enjoy tea and fruit. 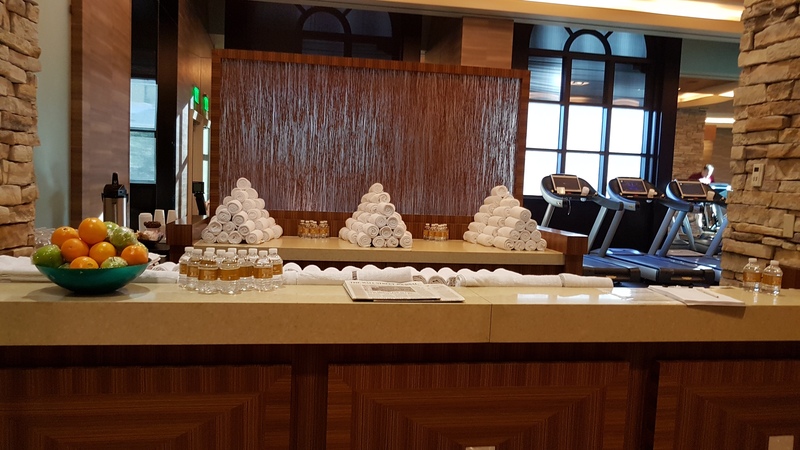 Entering the fitness center, you will be greeted by another attendant who will offer a towel and bottled water for your workout. 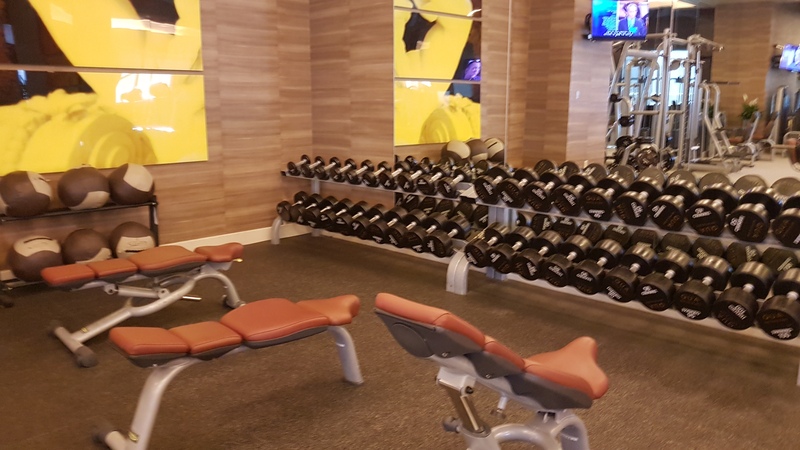 I found the fitness center to be well equipped and would rival any Las Vegas gym for available machines and weights to cover all muscle groups. 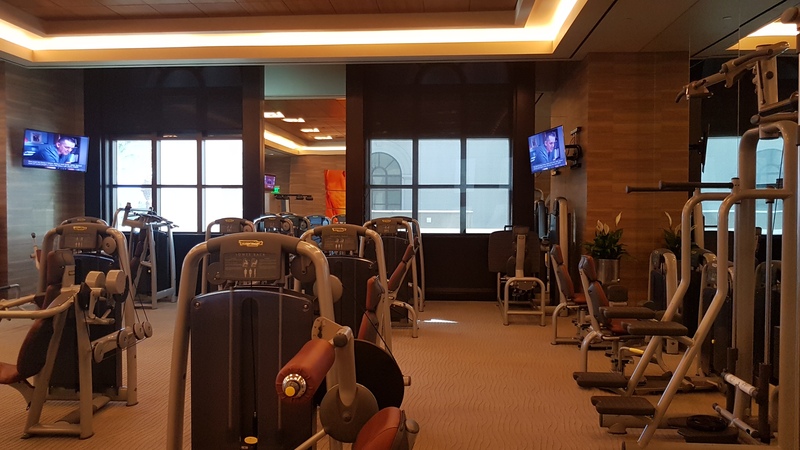 The cardio section is loaded with treadmills, ellipticals, and bicycles and even with the abundance of machines, it was quite busy with well-to-do Las Vegas tourists in the early morning. 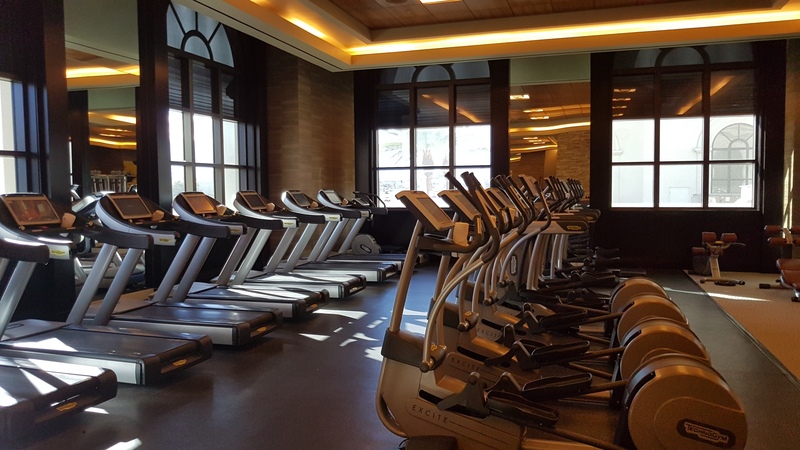 The Fitness center was clean and attractive with windows that allowed a view towards Flamingo road. 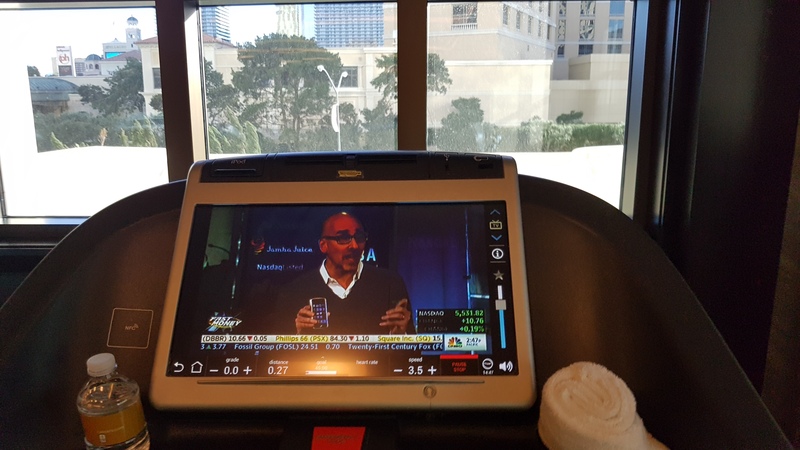 No pool view is the only negative I can give this fitness center.